This is a 30 day program made up of 3 levels that last 10 days each. It is a great challenge with excellent results. I recommend taking photos before and after because then you will see the difference. 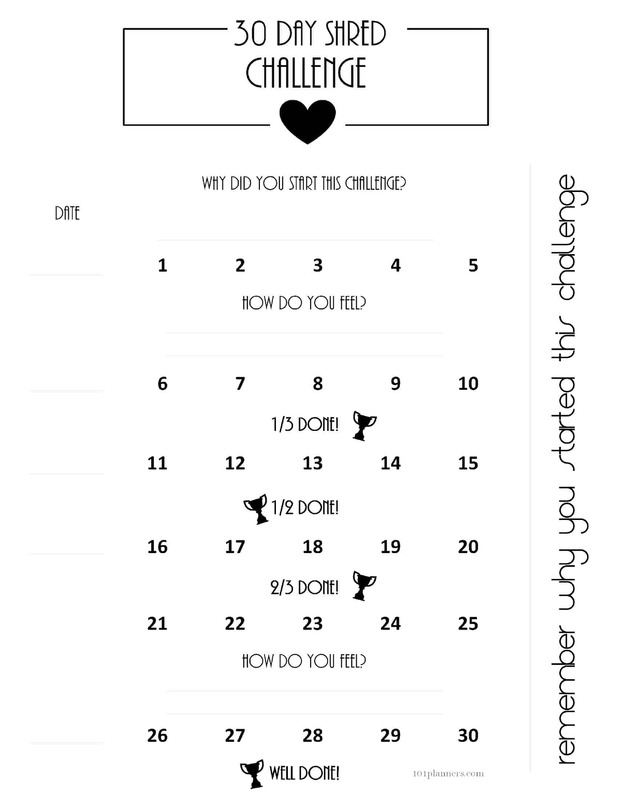 The planner will help you keep track of the days and your progress. You can also watch the videos below if you don’t have the DVD. Besides the tremendous sense of satisfaction you will get each time you check off a day on your 30 day shred calendar, you will also keep track of when it is time to move to the next level. If you think that adding your “before” photo will motivate you then you can use the following version with a before and after photo. 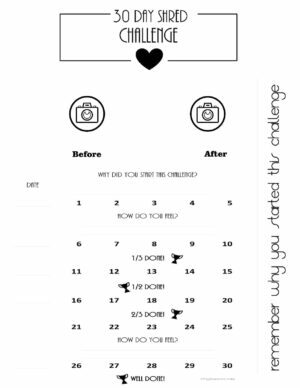 Don’t forget to save the countdown so that you can go back and add your “after” photo when you have completed the 30 days. To add the photo, click on the countdown below and our planner app will open. Click on the “before” photo and add your photo. Save. Then download and/or print. What equipment will you need to complete the program? 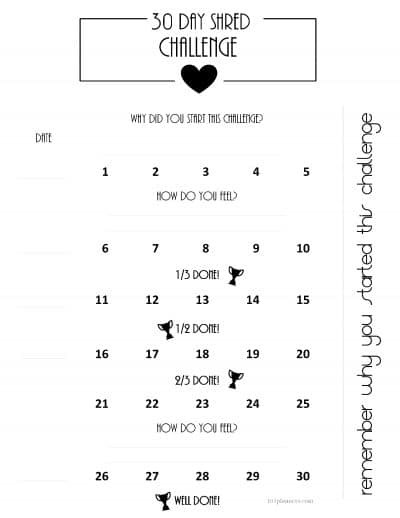 The printable calendar will help you keep track of each session so that you will know when to move on to the next stage. After a difficult workout, it will feel really good to cross that day off.